EveryPlate and Marley Spoon are designed to take the stress out of meal planning and this EveryPlate VS Marley Spoon comparison is designed to make it much easier to choose between them. Get a comprehensive overview of these companies’ crucial features and scroll down to discover the definite winner of the comparison. 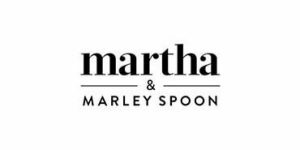 Each week, Marley Spoon offers 20 new recipes on its weekly menu.